A public forum on “The Cap and Trade Scam: What the Hell Just Happened? Where Do We Go from Here?” will take a close, critical look at AB 398, the controversial extension of California’s carbon pollution trading program. 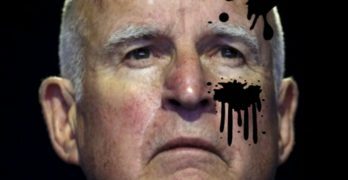 In two fateful weeks in July, Governor Jerry Brown managed to ram this bill through the mostly Democratic legislature—a bill that faithfully mirrors the oil industry’s wish list and now touted as a shining example of bipartisanship and enlightened climate policy. Oil industry experts and activists in the climate and environmental justice movements will explain what cap and trade has (not) accomplished, what the new law will do, and how it passed so quickly. And we’ll talk about future strategies for stopping the fossil fuel industry from poisoning our communities, increasing climate catastrophe, and corrupting our politics. Co-presented by 350 Bay Area & the Sunflower Alliance. It’s helpful to organizers if you can please RSVP below if you plan to attend.